Vest wearing is part of men’s major fashion culture that most people know about. These clothing items are good for so many things including jogging, walking the dog, strolling on the streets, or just visiting a friend in the neighborhood. Vests remove the worry of having to wear full clothes just because you want to get work done in the garden. Arrak Outdoor’s collection of vests are the perfect item for anyone who wants to enjoy their day without worrying about weather conditions. Wearing vests help you protect your core, so you don’t catch a cold. Men’s vest for dog owners is also useful when they are playing with their dog in the morning or evening. It provides ease of movement, flexibility, and can take all the pressure without getting dirty. Men’s function vests can also be worn for other activities like fishing, birds watching, camping, casual hiking, and more. 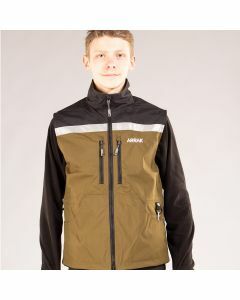 We at Arrak Outdoor makes it possible for you to select from a range of products and items including jumper vest that is water repellant and has several pockets including back pockets. There is also the fleece vest with two pockets in the front and practical back pockets, all offering the best function vests you can ever use. Arrak Outdoor men’s vest is easy to wear, comfortable, low maintenance, and useful for so many situations.